Pink is in the house! I haven't seen an interior color trend take over so quickly since shades of grey and I have to admit, I am on board! Shades of pink even made me Top 5 things I just can't get enough of for Spring, check out the post [here]. Pink has had a way of changing and adapting over time. In the past pink was used as the color for boys because of the strength and intensity is conveyed. I mean, think about it, pink pops, and in male history it was good to royally stand out. Truth talk, pink wasn't associated with girls until the early 20th century where it started being used in a lot of women's fashion. Today I am pleased to crush on pink and reclaim it as a gender neutral color that can be used in any home! Here are some of my favorite examples of pink being used in todays interiors. 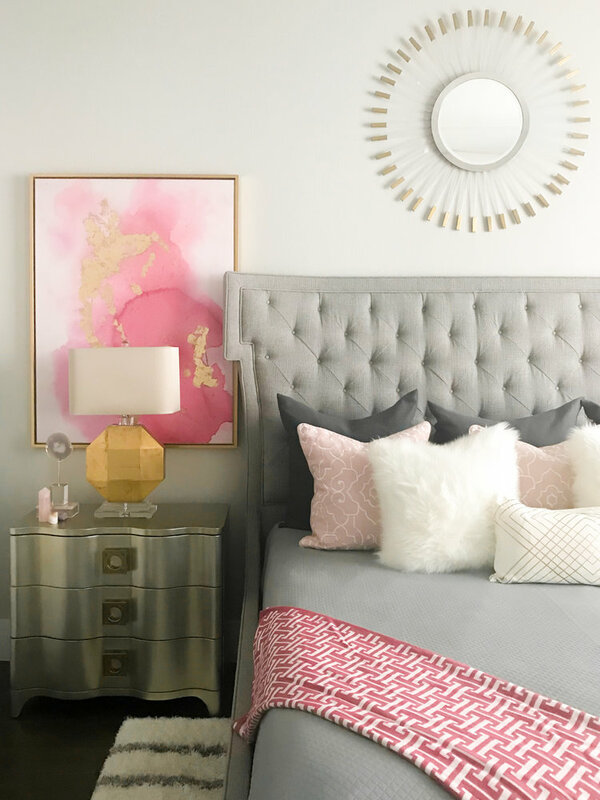 A recent client project of mind featuring saturated pinks mixed with neutrals. Classic interior mix of black and white with pops of pink.